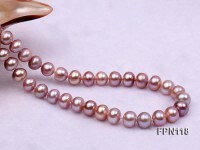 Gorgeous five-strand natural pink freshwater pearl necklace featuring 4x5mm natural flat pink pearl beads. 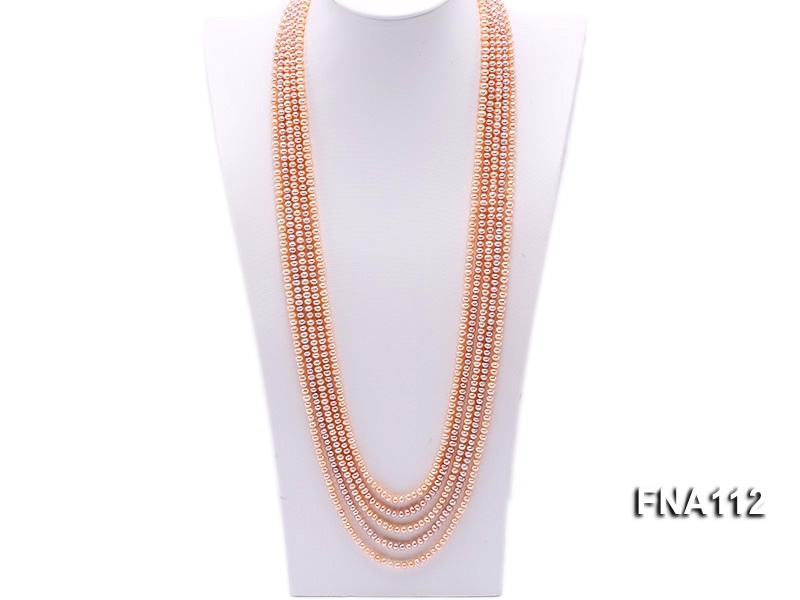 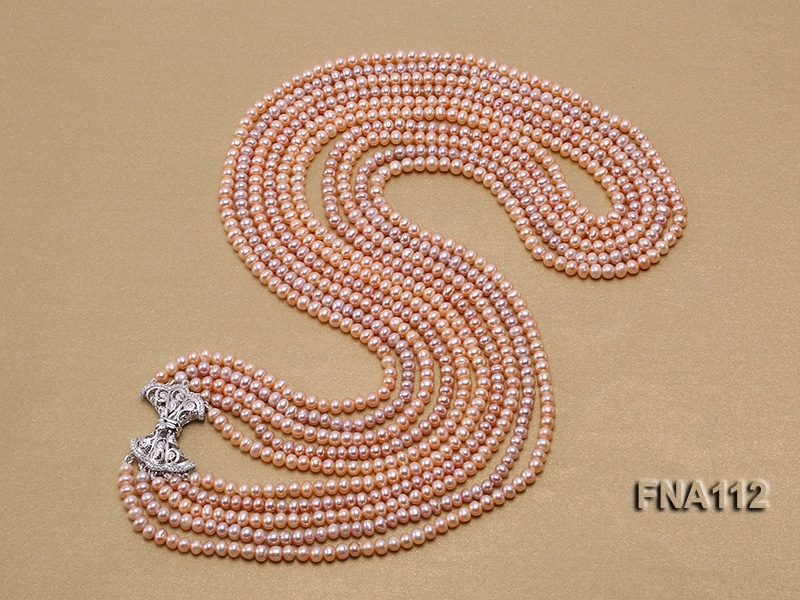 The length of the necklace is 30-33 inches and it is finished with a white gilt clasp. 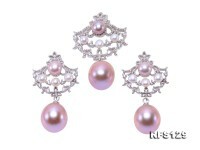 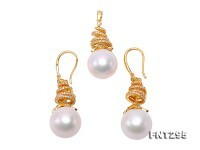 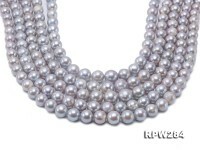 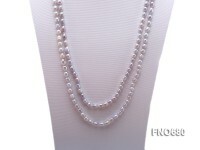 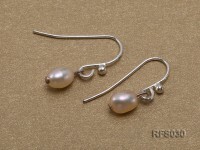 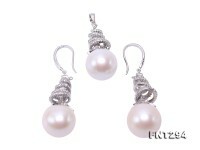 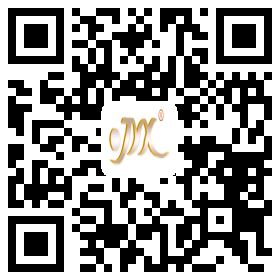 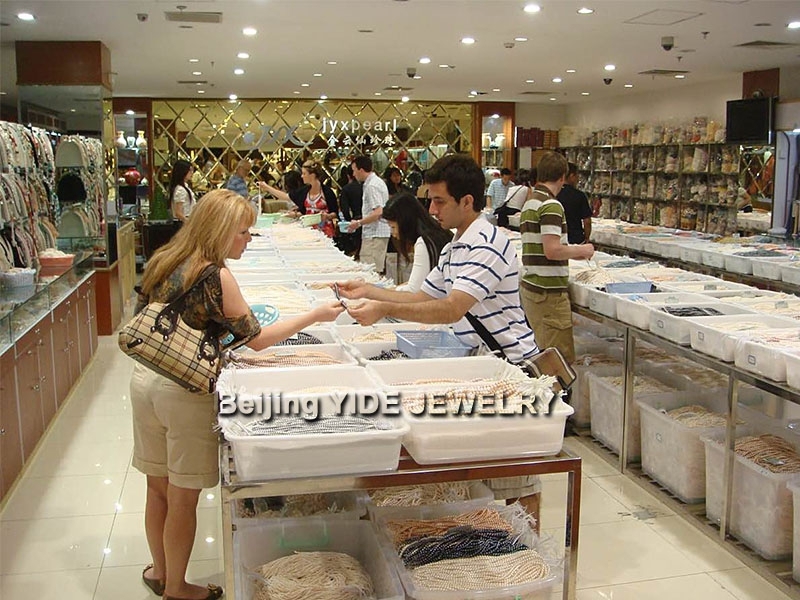 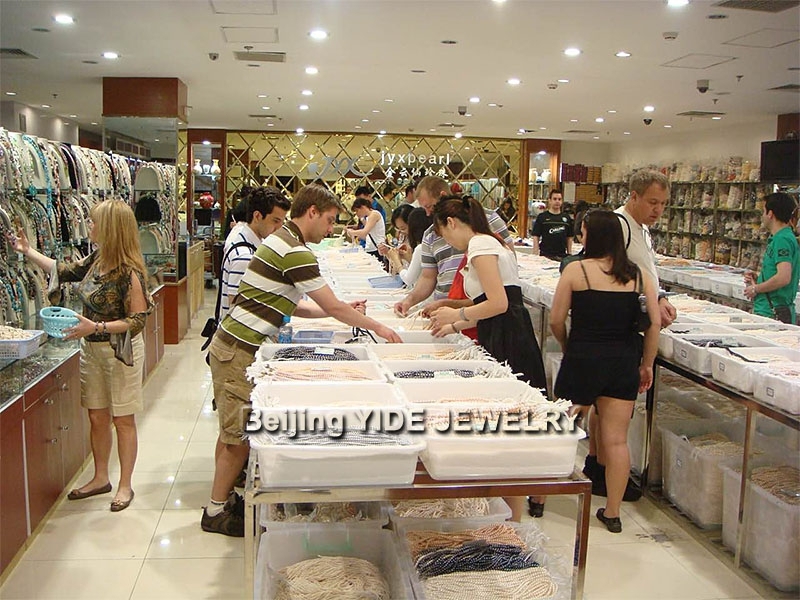 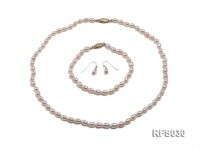 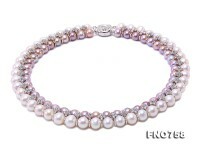 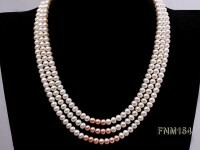 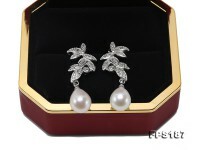 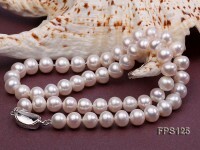 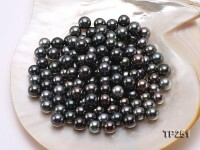 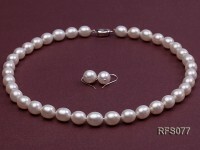 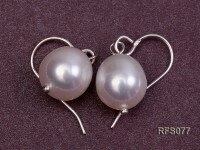 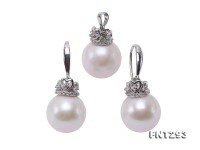 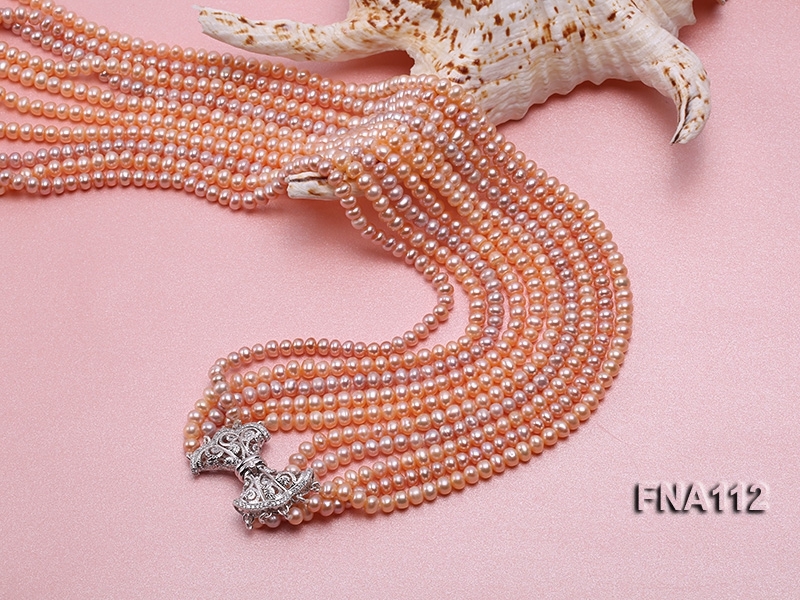 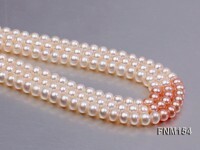 All these pearl beads in this necklace have very good quality and fine luster. 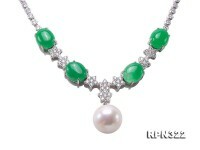 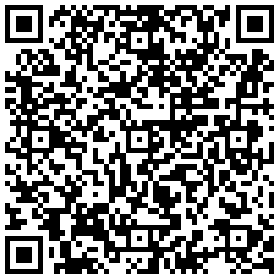 It is truely one of a kind and looks amazing.